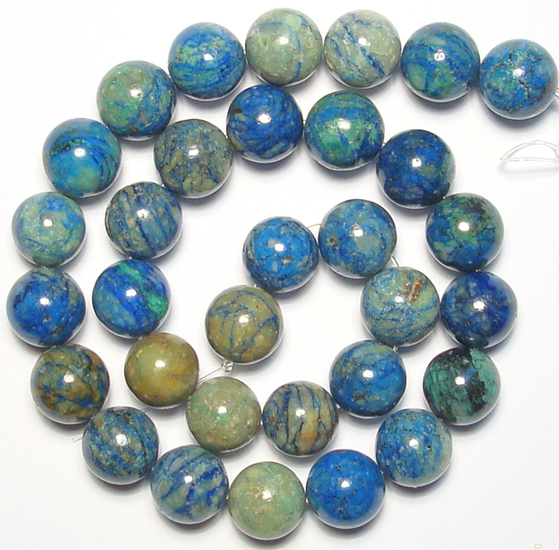 The gemstone Chrysocolla is a copper bearing mineral found wherever copper deposits occur. 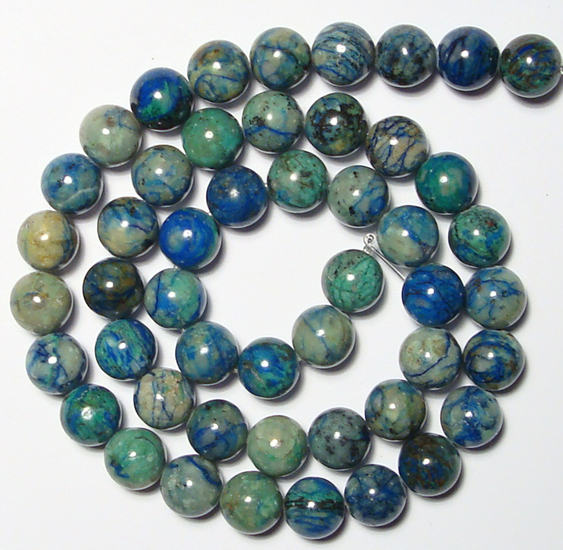 Chrysocolla with a variegated blue and green mixture is sometimes confused with turquoise. 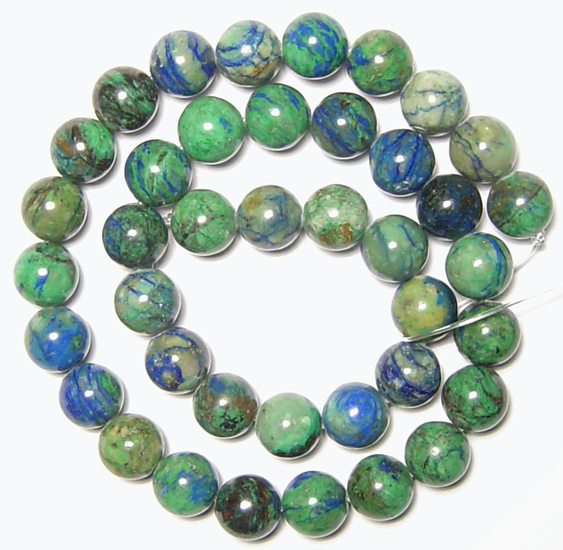 Chrysocolla is associated with tranquility and peace, intuition, patience, and unconditional love. 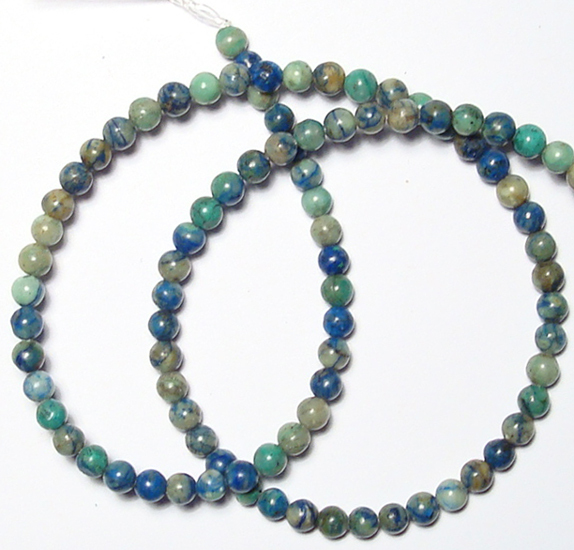 It is thought to offer gentle and soothing qualities.